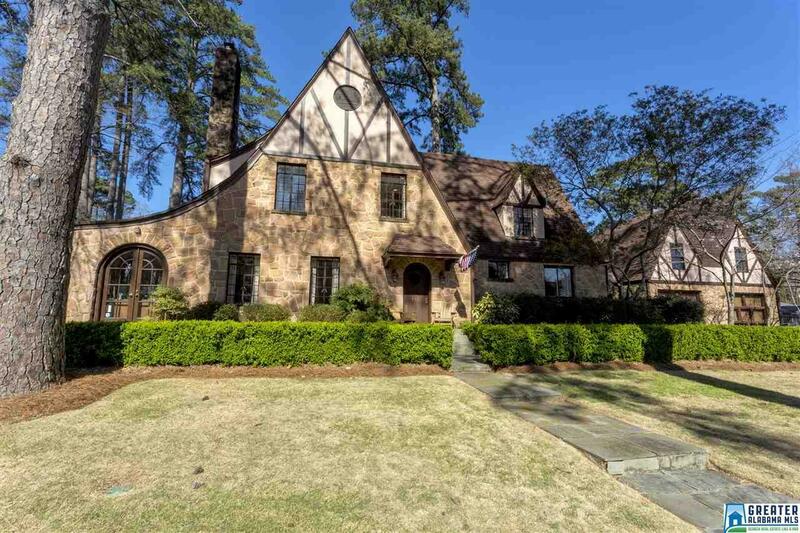 246 La Prado Pl, Homewood, AL.| MLS# 836673 | Richard Jacks UABLIVING.com 205-910-2297 | Birmingham AL Real Estate | Contact us to request more information about our Homes for Sale in the Birmingham AL area. English Tudor stone home in the heart of Hollywood has stucco walls, lots of character, arches & charm. Foyer opens to large living room with large gas log fireplace. An adjacent, tiled sun room also features a stone fireplace with gas logs. Formal dining room has built in cabinets. Updated kitchen features marble counter tops, island, 42" cabinets, stainless appliances, gas stove, & a hidden stand alone freezer. Keeping room accompanies kitchen with a vent-less, rock fireplace & cabinets with stainless steel counter top. Upstairs are 3 spacious bedrooms; 2 contain uniquely arched nooks that create cozy spaces. Master suite has walk-in closet, garden tub, stand alone shower & separate vanities. Hall bathroom is updated as well with glass enclosed shower. Hardwood floors & central vac. Carriage house features a fully functional kitchen, living room with fireplace, 1 BR & 1 BA. Fenced flat side yard. Per appraisal: house = 2487 sq ft & carriage = 891 sq ft totaling 3378. Must see!